Multiple recent studies have shown that there are two major factors in our diet can make acne worse and cause breakouts. What are they? 1: Dairy (particularly cow's milk) and 2: High-glycemic foods. According to the studies, these foods stimulate an increase in growth factors and hormones that increase the size and activity of sebaceous glands where pimples are formed. Confused about what exactly high-glycemic foods are? We’ll explain further. High-glycemic foods are carbohydrates (AKA carbs) that are easily absorbed in our gut and rapidly increase the glucose levels in the blood, creating a subsequent spike in insulin levels. The sudden rise in insulin levels stimulates hormones that are associated with acne. Different foods are classified with what is commonly referred to as GI (glycemic index or "score"). Foods higher on the spectrum (score above 70) include sugary breakfast cereals, white bread, white potatoes, cakes, and cookies. Here's the good news, not all carbs are created equal! Examples of low-GI carbs (score less than 50) include oatmeal, brown rice, beans, some whole grains, and sweet potatoes (yum). We know it can seem daunting to try and avoid high-glycemic foods, but there are some simple swaps you can make to enjoy your carbs while keeping your blood sugar stable and acne at bay. Here are some healthier replacements for high-glycemic foods that your skin will love. Sodas: Instead of reaching for your favorite soda (even diet sodas! ), try water or club soda. 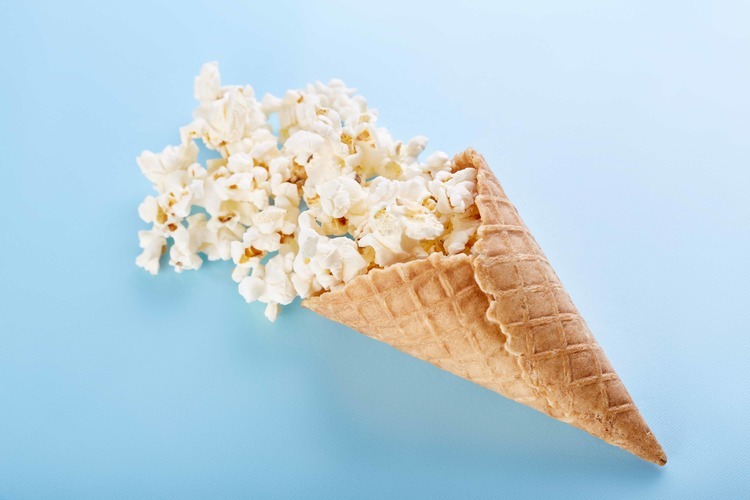 Chips: If you love chips, try to swap those out for plain popcorn! Sweets: Craving a sweet cookie or piece of cake? Some fresh fruit, unsalted nuts, or a small amount of dried fruit can hit the spot. Rice: Swap your bowl of white rice for whole brown basmati rice. Bread: Most bread rank super high on the GI, but the "grainier" the better. However, try to limit this food group entirely. Cereal: Ditch cereals altogether and instead go for a heartier alternative like, rolled oats or natural muesli —it can take some adjustment but your skin will thank you for it! Some foods even have a zero GI index, since only carbohydrates can increase glucose levels in the blood. Protein like lean beef, skinless chicken, fish, and eggs fall in this category. These proteins are an important part of healthy teenage diets and are crucial for a young body’s normal development. Absorption of iron and zinc from red meat is better than from plant food. Vitamin B12, which can be only found in red meat, chicken, fish, and eggs (and does not exist in plants) is vital to the proper development of the nervous system as well. A good teenage anti-acne diet should get 25% of its caloric value from these proteins. What else does your skin totally love? Leafy greens like spinach, broccoli, and kale — they’re packed with vitamins and anti-inflammatory antioxidants.